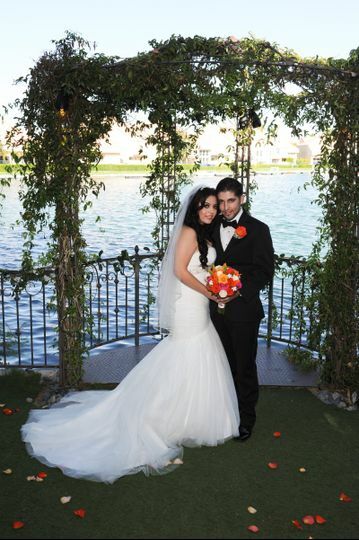 An exclusive wedding venue in Las Vegas, Lakeside Weddings and Events will make your ceremony and reception one to remember. 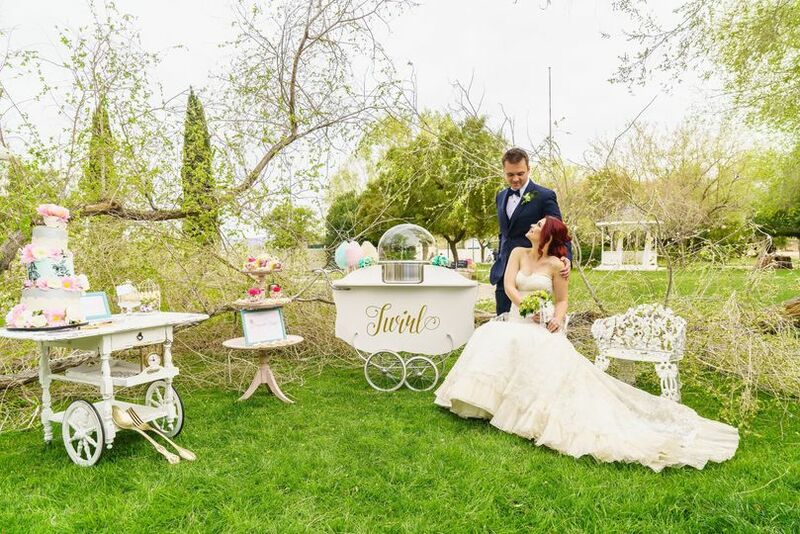 With gorgeous event spaces by the beautiful garden or stunning lakes, you will receive a wide range of services and event options to make your day amazing and personalized. 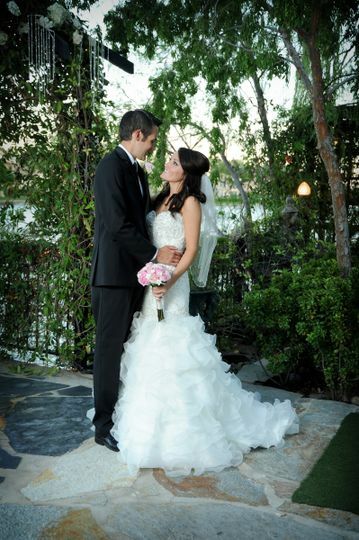 Lakeside Weddings and Events offers three lakeside indoor reception options and four lakeside ceremony gardens. Venue options include the Heritage, Swan, Grand and Waterfall Garden. Each provides a scenic backdrop, with its beautiful greenery, trees and walkway, as well as romantic gazebo over the water. 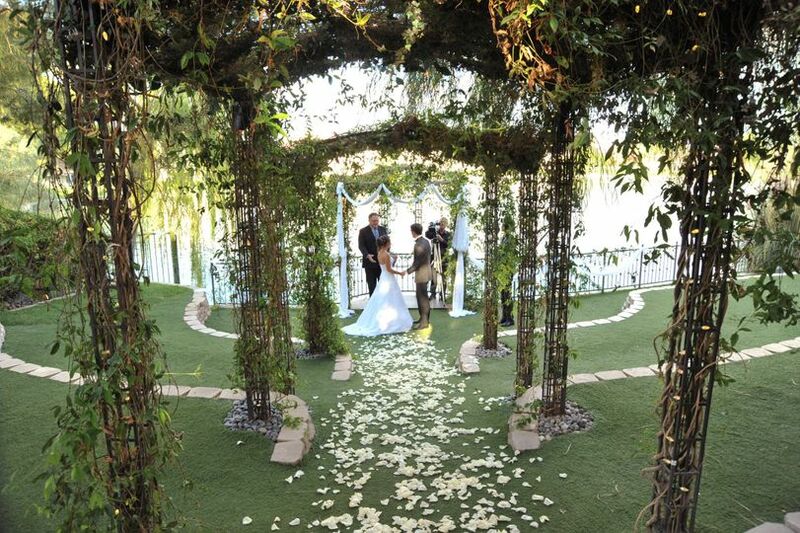 All event spaces provide the option of ceremony only or hosting both your ceremony and reception. For indoor receptions, you may choose the Swan Banquet or Grand Atrium, both with unbelievable views of the outdoor site and filled with romantic lighting and customizable themes in its interior. The total number of guests you can accommodate at this venue is 225, with options for more intimate spaces of 100 or less. Lakeside Weddings and Events has professional and experienced chefs and staff who will work with you to design a customized menu that fits your tastes. Buffet options offer a plated salad, choice of two entrees, a side vegetable and side starch. Whether you prefer a flank steak, chicken marsala, prime rib or alfredo pasta, Lakeside has it all. Couples may also choose to have a plated dinner and/or hors d’oeuvres if preferred. This is a beautiful place to get married! Karolynn is amazing! Great people to work with! Especially if you don't want to do all the planning! Marbelit did an INCREDIBLE job with our wedding. She was our day of coordinator and was very helpful the months leading up to our day. I had purchased some decorations that I liked and asked her to put them on the tables and the way she and her team transformed them to something beyond my imagination was truly a dream come true. I also have to say that Lucas was very helpful in all of the months leading up to our day. It went by way to fast but we were so happy with the end results. Thank you Marbelit. 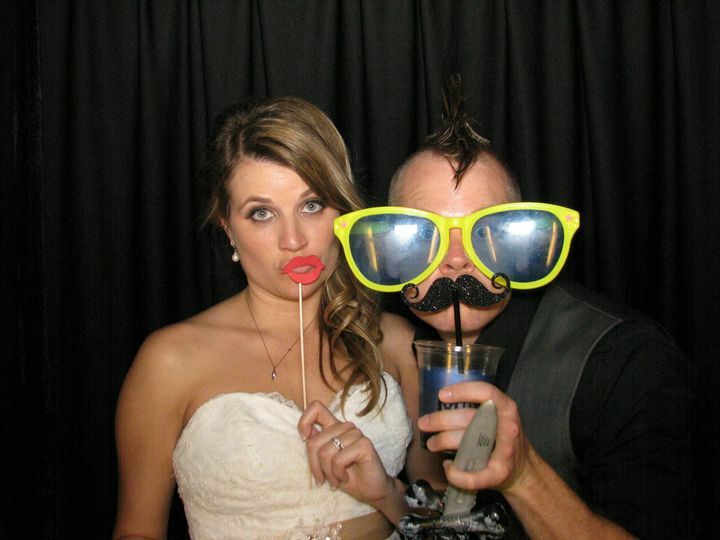 My wedding coordinator Wynndy handled everything. 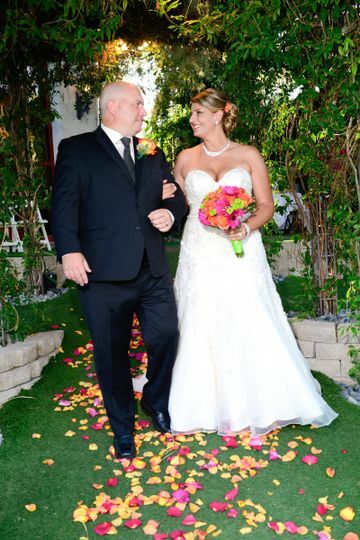 She was very professional and made my wedding day run smoothly and sorry free. 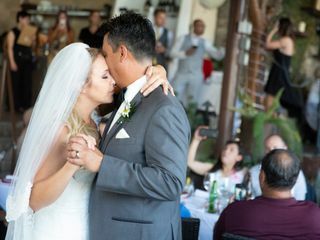 Lakeside Weddings is a unique and out of the norm for a Las Vegas desert wedding. 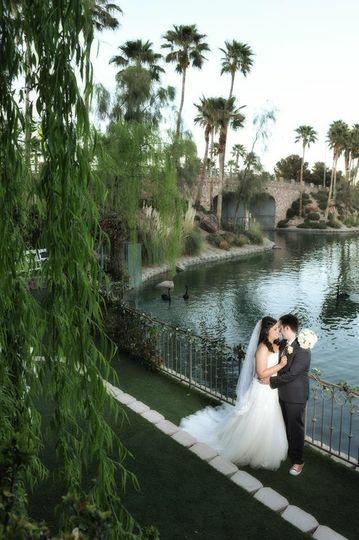 Secluded with the view of Lake Jacqueline in Desert Shores, Lakeside Weddings has all of the same amenities to offer with the added plus of being on the water. 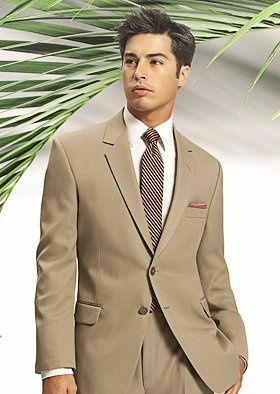 I am happy to endorse Lakeside Weddings & Events. The Lakeside location is gorgeous and the gardens are simply beautiful. 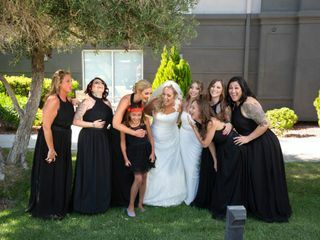 Lakeside has a really great team of professional wedding coordinators who are committed to providing the best for their clients. I highly recommend them!